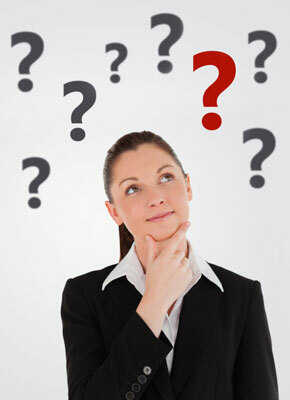 Answers to questions asked by patients diagnosed with periodontal disease. You've been diagnosed with periodontal disease, and we have recommended periodontal surgery. Like many patients, you may have some concerns. Here are some answers to questions frequently asked by patients diagnosed with periodontal disease. It’s important for you to find answers to your questions before surgery, because knowing what lies ahead will enable you to actively participate in your health care decisions. You`ll be one step closer to a healthy mouth and happy smile. WHY DO I NEED PERIODONTAL SURGERY? You need periodontal surgery because your periodontist has determined that the tissues around your teeth are unhealthy and cannot be repaired with non-surgical treatment. New treatment options using refined techniques can be performed comfortably as office procedures. Improvements in medications, local anesthesia, anxiety and pain control, mild sedation is available to make your treatment more pleasant and comfortable. It's important to follow the doctor's instructions. Patients generally can expect to experience only minor limits to their normal routine the following day. Talk with your periodontist about any special post-operative considerations you may have, such as diet, exercise or follow-up medications. This will help to minimize disruption of your daily activities. WILL INSURANCE COVER THE SURGERY? Many insurance plans pay a portion of periodontal services. Your periodontal health is important, so talk to your periodontist about payment options. Oftentimes, the office staff will work with your insurance company to secure maximum benefits. Your comfort and confidence in the recommended treatment plan is important to your periodontist and your overall satisfaction with this health care decision. As always if you have any additional questions about periodontal surgery, your periodontist will be happy to answer them in the privacy of an individual appointment.